Did you hear the news, St. Lucia has yet again been named The World’s Leading Honeymoon Destination and I think the travelers agree. Here is how Ashley and her new husband enjoyed the beautiful island of St. Lucia. Travelers from across the world come to St. Lucia, and for good reason! My husband and I had heard wonderful things about this beautiful island and chose it as our honeymoon destination. We wanted our honeymoon to be an island that neither of us had been to before. We were excited to see the lush rainforests and beautiful beaches we had seen on Instagram and had heard so much about from others. As you arrive in St. Lucia, you instantly feel the island vibes. Our taxi driver offered us local ‘Piton’ beer on the ride to our resort. We chose to stay at Sugar Beach, A Viceroy Resort, which we heard about from Jade & Tanner (from the Bachelor shows!). We’re SO happy with this choice and would highly recommend this resort to anyone traveling to the island. We stayed in a ‘Luxury Cottage’ which features a private pool (AMAZING), a beautiful bathroom with a large tub & walk-in shower, an outdoor shower, a private patio, gorgeous views, and personal butler service! We were in heaven. With a few clicks on the iPad they gave us or a quick call on the cell phone they put in our room, we could have room service, the mini fridge re-stocked with beverages, dinner reservations, and much more. We spent a great deal of the vacation enjoying our private pool and the beautiful beaches around the resort. One day we chose to check out the luxurious spa, and we enjoyed facials and a couples massage. A town about a 30-minute boat ride away had a street festival, so we went with another couple from the resort to check it out. We got to see how the locals live, watch a soccer game, and try foods from local vendors. Another fun activity that I would definitely recommend was an excursion that included a buggy ride around the island, a quick stop/swim at a waterfall, a mud bath at the world’s only drive-in volcano, and a stop/swim at a black sand beach. Our guide also stopped at various photo ops along the way and showed us different types of local trees/plants which was wonderful! In addition to the activities, we got a more in-depth tour of the beautiful island. One of our FAVORITE things we did was a private dinner on the beach. We got to talk with the chef and customize the menu. The food and the views were wonderful. 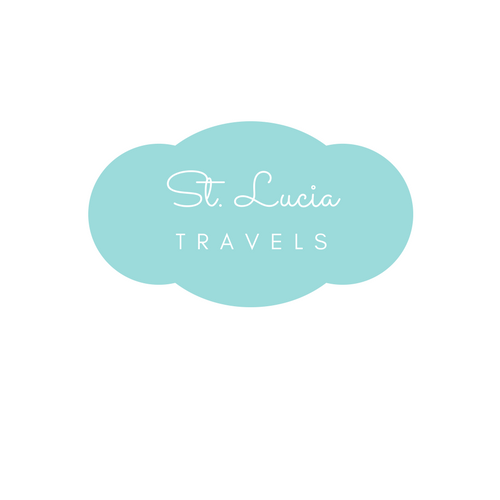 Have you been to St. Lucia? What were your favorite spots? Follow me on Instagram @mychangeinscenery to see more of my adventures!